Hello everyone! Happy Labor Day Monday! Before we get started I just wanted to apologize for the quietness on my blog and instagram this past week. As you probably know, I started the nursing program and this first week has been INSANE! I feel like I am kind of getting in the groove of things and am going to try to stick to my schedule. One of my favorite things to do in my (non-existent) spare time is to experiment with my hair. I don’t typically have an issue with the thickness of my hair (my hair is so so thick), but sometimes I do have issues with the length. To achieve the look I am wanting, I need my hair to be longer. So what is the best way to achieve longer hair in a short amount of time? That’s right… hair extensions! I have always thought hair extensions were so awesome, but there was a time when they were almost like a big secret! 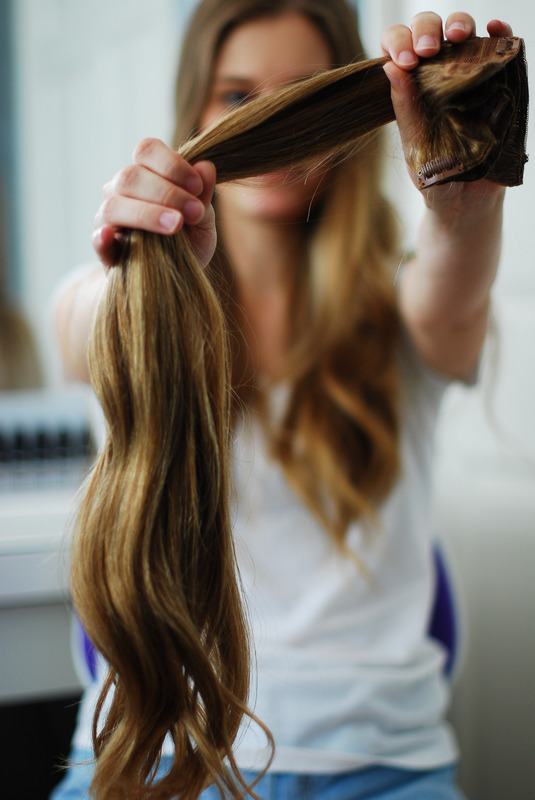 Somehow that has evolved and now everyone is open about wearing hair extensions… yay! 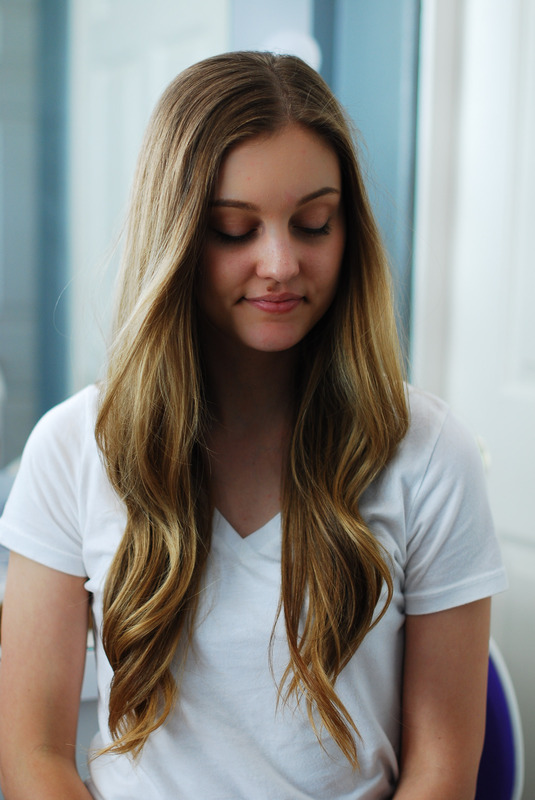 Seriously though… hair extensions are amazing. You can go from thin hair to thick hair or short hair to long hair and you can get the look you have been wanting without waiting years for your hair to grow. Finding a great brand of extensions that are durable and don’t look fake is SO important. What’s my favorite brand? I’m glad you asked… Irresistible Me. Irresistible Me extensions are 100% human hair extensions which is so important. Like I said, you don’t want really cheap/fake looking hair, so real hair extensions are the way to go. The extensions I got are from the Silky Touch line, and I am so impressed with the quality! When picking out your extensions you select the color (mine are Ash Blonde), the length (mine are 24″) and the weight. Since I have really thick hair, for the weight I chose 200g so they would blend. I really am impressed with the quality of Irresistible Me’s extensions and I can’t wait to show you guys a few hair tutorials with them. Keep your eyes peeled for a tutorial coming soon! Have a fabulous Monday off! They look so pretty on you! I’ve never tried extensions, but have always wanted to because my hair is so thin. I’ll have to give these a try. Ah I’m so obsessed! They look so so natural!!! This is so cool! I have been wanting to try extensions for a while now! 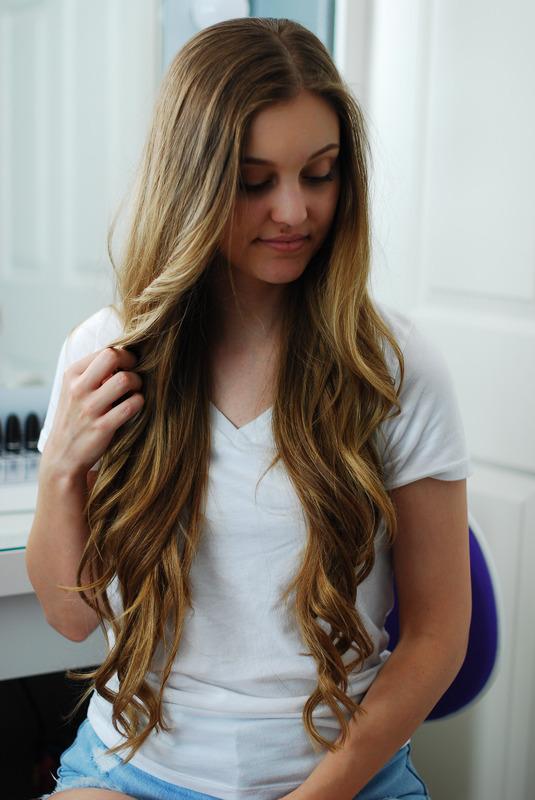 I haven’t ever tried extensions, but these look great! I might need to give these a try! So natural and beautiful! All the best in your nursing program! Wow, these look amazing on you! Go girl. They look so natural! Gorgeous, Hales! These look incredible on you. If you hadn’t told me they were extensions, I truly wouldn’t have guessed. you are inspiring me to think about them!! ahh so pretty and the extensions look so natural! Girl. your hair is AMAZING! Talk about major #hairgoals!